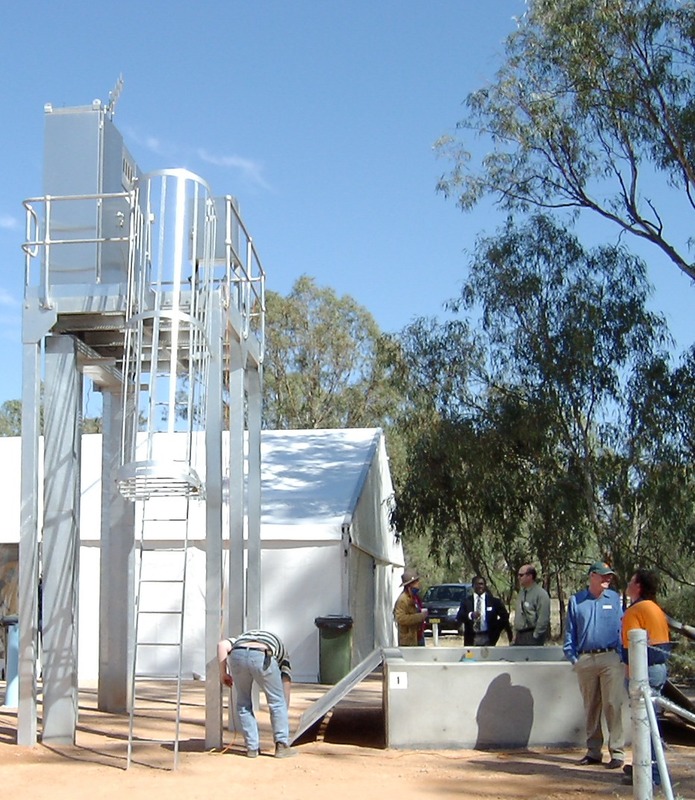 A $4.8M upgrade, as principal contractor in 2006 TWS completed 8 specialist groundwater pumping stations of 105 l/sec along the Murray River including PLC control / Electrical switchboard construction / Pipework / 904L Stainless Submersible Pump Installation / Concrete works / Steel platforms for a new Salt Interception Scheme at Buronga, near Mildura (DIPNR). During the next 30 years, it is estimated that on average 200 tonnes per day will be intercepted by the Buronga Salt Interception Scheme, resulting in an estimated reduction in river salinity of 6.7 EC at Morgan. The Buronga Salt Interception Scheme is located in the south west of New South Wales, along the banks of the Murray River between Mildura Weir (Lock 11) and Mourquong. The salinity problem is caused by the construction of the Mildura Weir and Lock and the groundwater mounding under the nearby irrigation areas (Mildura-Merbein, Buronga and Coomealla). These activities have increased the pressures in the Parilla Sands aquifer system, resulting in the displacement of saline groundwater from that aquifer to the Murray River on the downstream side of the weir, over a reach of approximately 3.5 km. The NSW Government and the Murray-Darling Basin Authority funded the refurbishment and upgrade of the scheme in 2005. 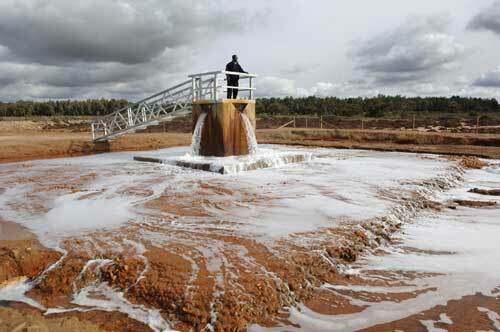 The Buronga scheme will intercept the deeper Parilla Sands aquifer and prevent approximately 17,500 tonnes of salt from entering the Murray River annually. Poonindie Pty. Ltd trading as TED WILSON & SONS. Address: 30 Lawson St, Blayney, NSW 2799.Australia.